Located in the City of Phuentsholing on the Banks of Amu Choo River, this center is unarguably one of the City’s popular and most visited attraction, where the intimidating Marsh Muggers and Gharials can be seen in their full glory and stealth. Functions of the Breeding Center include caring for the reptiles until they are able to fend for themselves in a Natural reserve or habitat, among other things. 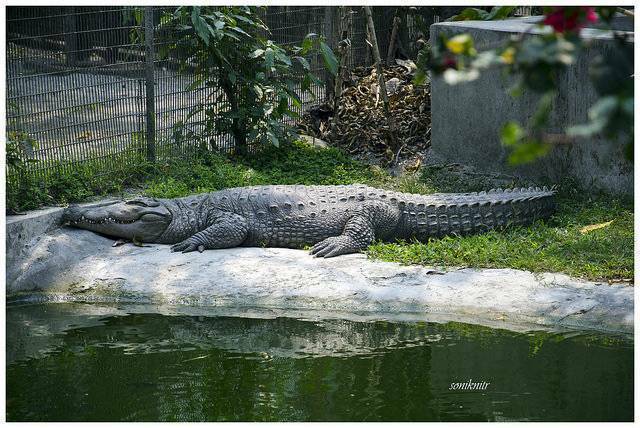 The ideal time to view the crocodiles would be afternoon when they are being fed or snoozing under the warm sun.